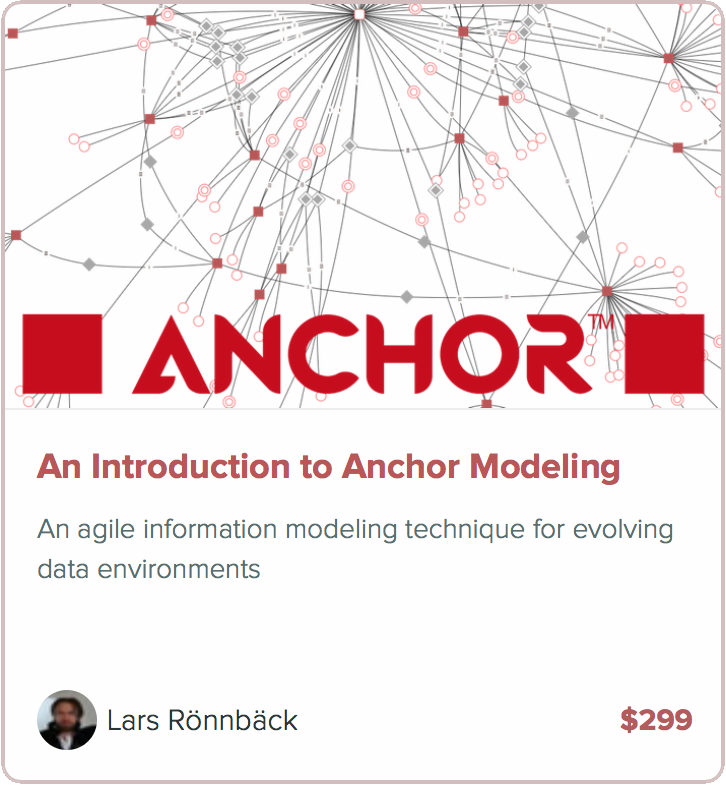 We will bringing some of our courses online, starting with an Introduction to Anchor Modeling. It is a four hour video course for $299 that will give you a general introduction to Anchor, serving as a good start to build from if you are interested in the technique. A link to the course can be found in the sidebar to the left, or you can click here: anchor.teachable.com. This will hopefully be an opportunity for those of you who have shown interest in our courses, but have been unable to travel to Sweden in order to take them. We’re open to suggestions on what you would like to see as a second course that builds upon this one, so let us know!